Myntra yet again proves that it is a fashion destination with a difference. The approach is simple, a customer-first approach and technology is at the heart of everything Myntra does. Myntra has been working towards bringing private brands under its umbrella for a while now, and these have now come to deliver about 23% of the total business at Myntra, and is growing rapidly. Myntra recently disclosed that the MFB performance is estimated to be at a double-digit EBITDA profitability in the next 18-24 months. It was a day when another feather was added to Myntra’s cap. 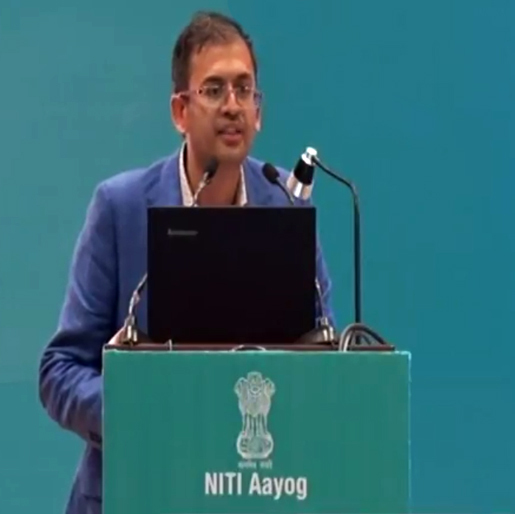 Ananth Narayanan, the CEO of Myntra and Jabong, was invited to speak during the Champions of Change Programme initiated by NITI Aayog. And the audience included the Prime Minister of the county, who was all ears. The Programme was put together by the Government of India to bring all the entrepreneurial thinking caps together in a room, and listen to and learn from their ideas on the growth and development of the country. This is seen as an excellent step towards institutionalizing the developmental sector in the country. The Myntra and Jabong CEO spoke about “A New India by 2022”, covering not only technological and corporate solutions for Economic Growth, but also Skilled Workforce, Agricultural Transformation, Poverty Eradication, Social Capital and Gender Parity. The focus of his presentation was on “Inclusive and Innovative India”, so that the ideas could be applied to all of India, making it inclusive, and underlined the need for innovation, for making it happen. The Programme was put together by the Government of India to bring all the entrepreneurial thinking caps together in a room, and listen to and learn from their ideas on the growth and development of the country. This is seen as an excellent step towards institutionalizing the developmental sector in the country. The ideas presented to the Prime Minister by Ananth were not just technologically and economically informed, but also had progressive Developmental and Social components. The set of four ideas that were unfolded, raised the need to bring farmers, women, people with disabilities and transgender into the developmental mainstream. It comes as a very welcome move when a leader of young India, like Ananth Narayanan taken to a platform like this. He was expected to give technical solution and ideas to revamp the economy of the country. A one-dimensional approach to this would not have faced any criticism or felt lacking to anybody. But Ananth took a 360 degrees view on the matter of the countries development, specially the section that need it the most. He talked about the inclusion and democracy as way to go about the technological and economic development of the country. This fresh approach is nothing short of being the beginning of a new phase in the business industry where like Fashion, everything comes together to make something beautiful. The mixing and matching of varied and different types of garments is what results in the perfectly balanced and show stopping outfit. We are very proud of our CEO. The fall is here ya’all! Though summer comes with promises of fun, outdoors, beaches, vacations and mangoes (off course), the fall-winter time has a charm of its own. It brings with it cups of hot coffees, teas, cocoa, warm and fluffy sweaters and days under the blankets reading away. Aren’t you craving for that drop in the temperature just as we are, so that you can feel that familiar feeling that you resonate with the mountains up above? Me too. Another, “out there’ thing that happens during the time of a shift from summer to autumn and fall, is the not-so-subtle up in the fashion game of everyone you know! Am I right? People come out looking more dapper and properly dressed. Basically it’s due to the charm and style of winter sweaters, cardigans, mufflers, coats, capes, jackets and shawls. India is a land of diverse culture, food, climate, terrain, beliefs and so on. In terms of style and fashion, like everything else, the country displays varying tastes and choices. Let’s talk about the four metropolitan cities and see how they dress and go about in the season of warm hugs and hot cocoa. Let’s start with the capital, shall we? Delhi. Delhi is the northern most of the metros and is therefore the closest to the chilly mountains of the great Himalayas and the snowy paradise-like valley of Kashmir. The cold icy winds from the mountains blow far enough to reach Delhi in a much milder, but “still there” form. Hence Delhi gets cold, extremely very cold at times. And this is great news for the fashionistas this city is filled with. Comes out the fashion game, with chic and cozy pieces that Delhites love to make a style statement with. Combatting the cold weather in style, they prefer flaunting (it’s in their blood) long coats or a 80s inspired vintage jacket. 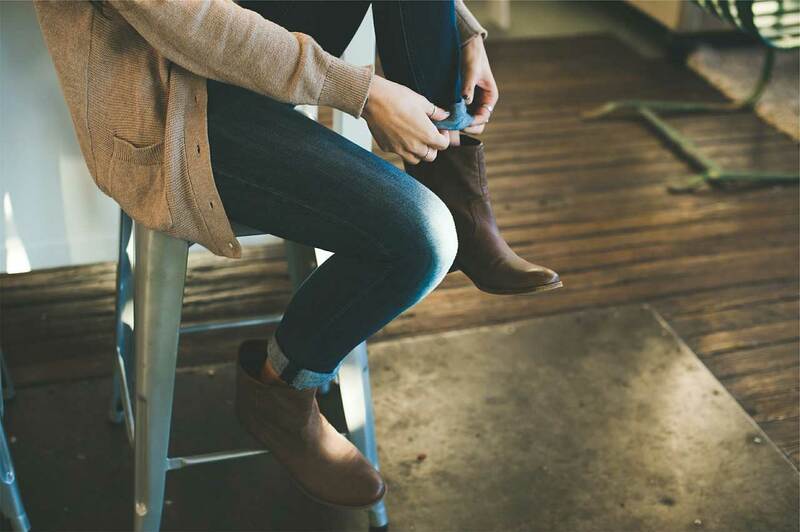 Boots are a staple in the heeled or flat varieties and just one pair is never enough to satisfy anyone. Oversized sweatshirts over skinny jeans with a fluffy muffler are part of another essential winter look. Mumbai announces winter, not with the drop in the temperature but the launch of new fashion collections and apparels! It’s not considered the fashion capital of the country for no reason at all. The trailblazing fashion shows set the mood and with less humidity in the air, people extend their wardrobes to drape dresses, long skirts, flare pants, leather jackets and everything that goes with the bold Mumbaikar style. Casual and comfortable defines the winter style quotient in Chennai. With the temperature not lowering too low, the city has pleasant as well as sunny days. The breeze chills slightly during the nights and the evenings. That when the good people of Chennai like to drape around some shawls and stoles around themselves. These are the major winter style essential in Chennai, and can be spotted in bright and varied color, patterns and designs. And at last we come to Kolkata, the land of artistic designers and artists on the legendary lines of Satyajit Ray and Sabyasachi Mukherjee. The winter season brings with it foggy mornings, bright days, and cool evenings with a smattering of rain every now and then. While taking a stroll in the evening, a long-sleeved shirt or a khadi kurta is perfect to keep you snug. An inclination towards rich fabrics opens up a box of treasures offering crepe, brocade, silk, and a few other fabrics from Kolkata. Want to try styles from all of these places? Head to Myntra.com or the Myntra App and find anything you want and be anywhere!